From its inception in July 1990, 32nd Milestone has been the original hub of restaurants and entertainment options for Gurgaon. As Gurgaon emerged as the millennial city with it’s burgeoning corporate and IT sectors, it was time to reinvent 32nd Milestone. From the authentic, yet experimental experience of South Indian cuisine at Carnatic Cafe, to the Michelin star finesse of a New York based vision such as Laut, 32nd Avenue is bringing a series of firsts to Gurgaon and Delhi NCR. 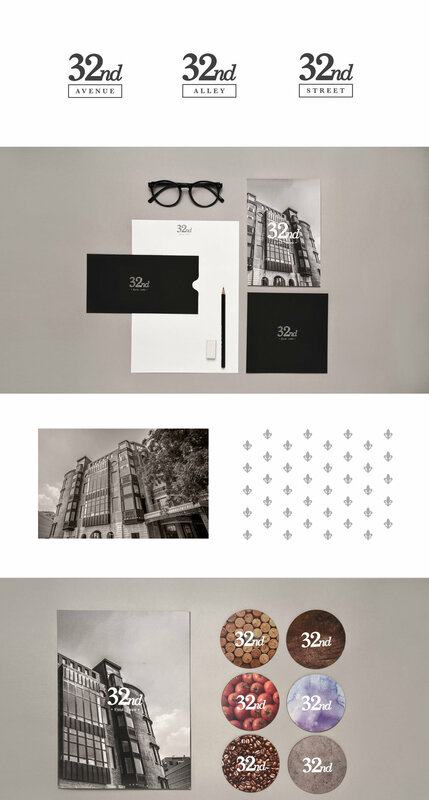 Create an identity that is timeless, classic and simple just as the roots of 32nd Milestone. The entire identity was created using a typeface that is considered to be timeless and most elegant in the history of type design, Bodoni. The same was modified to give more character and a sense of recognition to ‘3’ and ‘2’. Logo pattern is taken from the facade architecture itself and the overall language is kept extremely simple and classic to blend with the brick walls, wrought iron railings and lush green lawns.